Bring: Most likely your telephoto lens. A placeholder for the annual CNE air show. Last year I posted three seperate events, but I figure I'm only going to show to one this year. Generally we pick a spot just to the West of the VIP area along the Lakeshore. If driving down, there is a parking lot further west along the Lakeshore. It should be free during the day, but it fills up quickly. Last edited by ofermod on Tue Aug 28, 2012 8:55 am, edited 1 time in total. This years' lineup. Not too impressive this year. 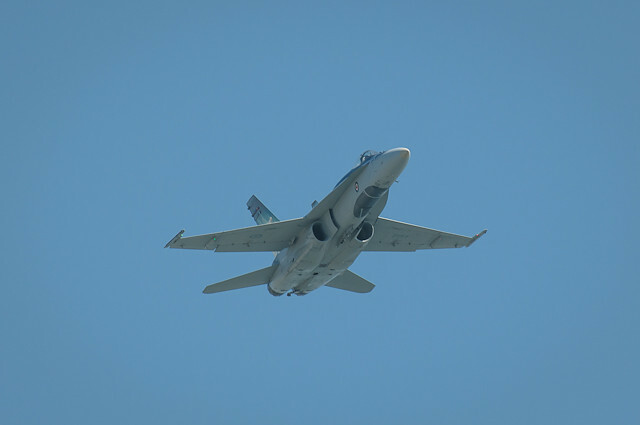 The Hornet is back with its 2012 tactical demonstration. You’ll get a full-tilt look (loud & proud) at Canada’s frontline fighter! Watch as Melissa & Rex Pemberton take to the sky in a “Man & Machine” routine you won’t see anywhere else. 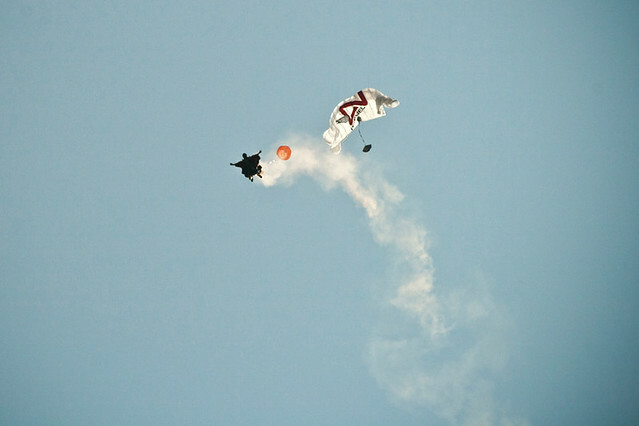 This act will feature Rex in his Wing-Suit and Melissa performing FORMATION aerobatics in her Edge540. One of Canada’s jet icons will be on display with its vivid blue “Mako Shark” paint scheme. Get your cameras ready for a great photo op! his Lucas Oil Pitts to the edge of the aerodynamic envelope! will leave you craving even more aviation excitement. "Exquisite Energy Management" with their glider demo. 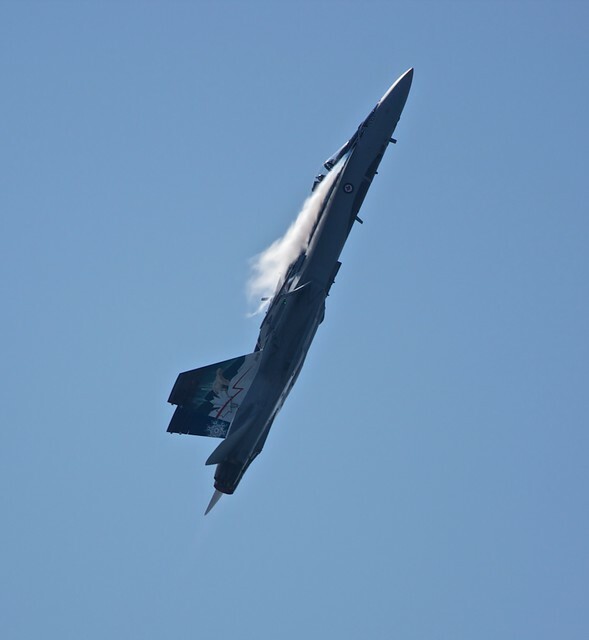 … We're keeping our fingers crossed for a MAX afterburner “RIP-PASS” thrown into t he mix! It's a Frigate (amazing ship) in an air show - Where else do you get that?!?!? Get an special look at the stalwart of Canadian Maritime Patrol the CP-140 Aurora! 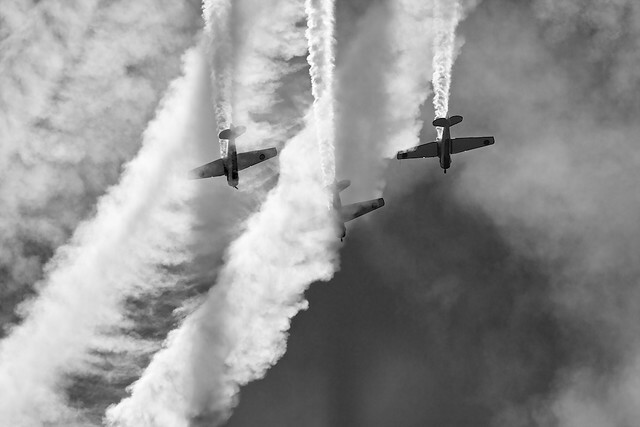 needed to pass fuel from one airplane to another …mid-air!!... with the CF-18 Hornet! I think Hanlans Point might be a good spot for this. I did this map for the 2009 show. it may come handy. i am in for sunday and/or monday. Mawz and I have gone there for the past two years, and mawz has probably done it in years prior too. The fire ants are insane. I've been waiting to hear about any updates from the Air Show mailing list, but not much change. I'm still unsure about which day I will be showing up myself as I suddenly have family coming in from out of town this weekend. I'll keep posting updates. The Air Show mailing list usually sends out the daily timetables the day before. Do u know if they have a AM/FM radio frequency that we can listen to for the upcoming flight? Or a radio station for Pearson departure? We go to Hanlans for this every year...but I'll be there with Critters in tow and I think my SIL..Her 2 kids..FIL..and MIL are all going with us. I'll bring my camera, no fancy giant lens like the ones I often see (and am jealous of) but hope I get some decent shots. 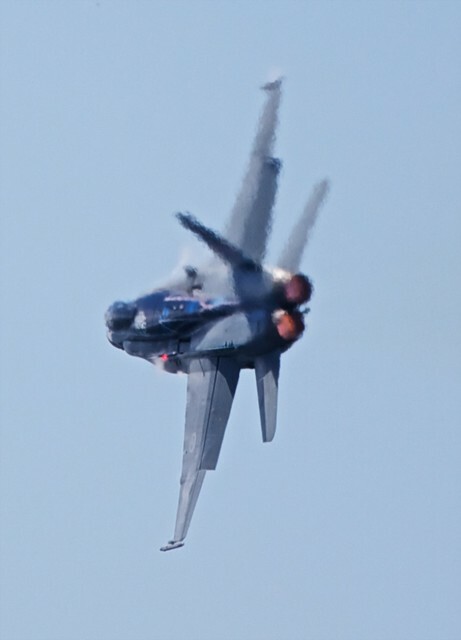 I really dont care for planes...BUT the Hornet...I have to go just to see it! Hopefully the weather is better then last year! I'll probably get more shots of my 2 year old eating dirt while daddy chases him down the beach. 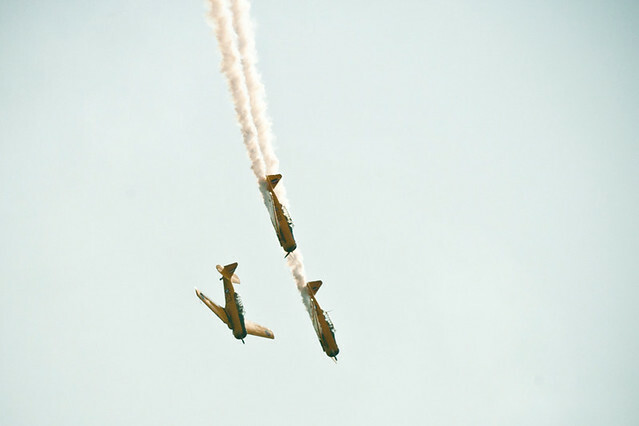 Eddie S Im snooping ur flicker page...What lens did U shoot the Airshow with? most of them are shot using Sigma 50-500 mm. We were near someone with a scanner one year and it was a good idea. Looks like i've chosen the saturday to go myself. It also looks like the remnants of Isaac may actually hold off this weekend. The CIAS mailing list will be sending out the daily schedules each morning. I'll update the post as i get them. * Schedule Subject to Change without Notice! No F-16. No Griffon either. They didn't really follow the schedule. I had a heck of a time trying to find parking, but made it eventually. Thanks to Yesh for showing up the first day. I don't plan to attend again, but I will post the schedule (subject to change) when I get them in the morning. Feel free to use the registration to let others know who will be there. With no static display, this airshow is getting pretty pathetic and they still want to charge over $1500.00 for their” Ultimate Air Show Experience” (tent & fence) next to the public area. I think tomorrow will be my last visit. 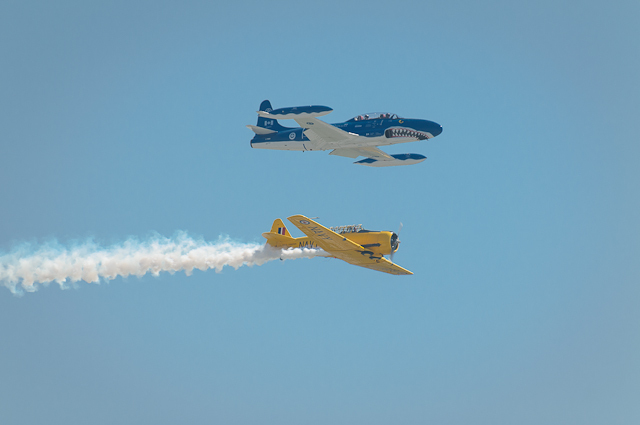 I’m planning to go to Miramar next year (http://www.miramarairshow.com/performers.html). At least I can pack in an airshow and a visit to San Diego zoo with a side trip to LA. I may post it as a potential TPMG event. The sked may have changed but I thought I saw an F-16 fly through the core. Coulda been the Griffin, didn't get great look. I guess i didn't post the schedule this morning. That's 'cause I didn't actually get the schedule this morning. I hope everyone who went today had a good time. Quite a hazy day. Any suggestion on post processing appreciated.